Do heavy periods associated with Uterine Fibroids affect you? Uterine fibroid symptoms can affect any woman, anytime, anywhere. 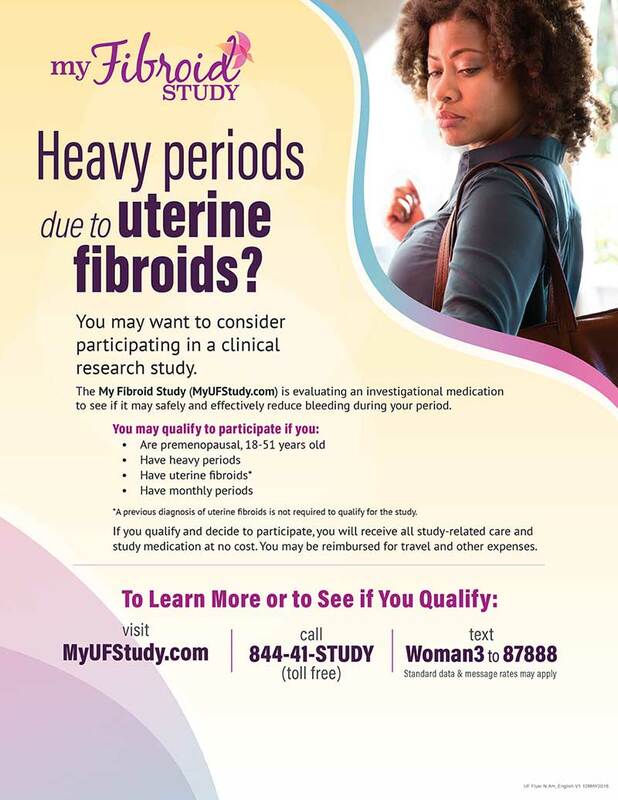 If you’re premenopausal, up to 51 years old, and have heavy periods associated with uterine fibroids, you may qualify for this oral investigational medication study. As a participant, you will receive all study-related care and investigational medication at no cost. 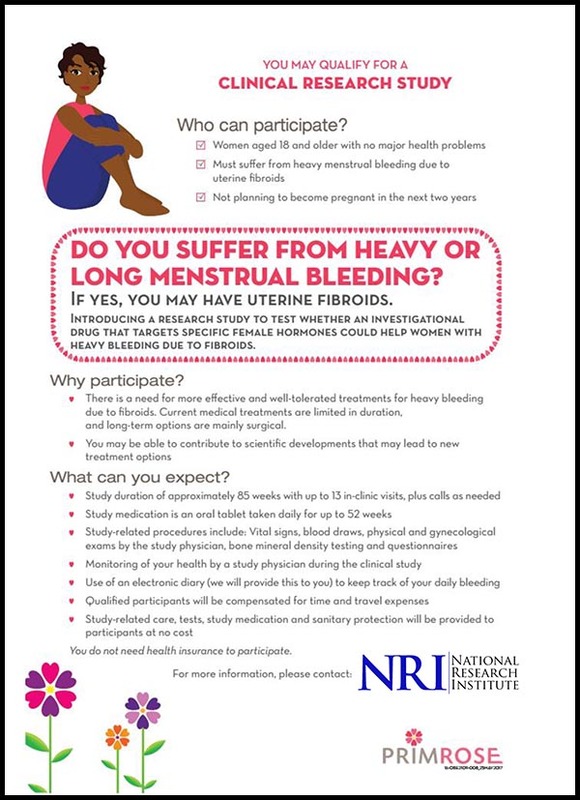 We are looking for volunteers to participate in a new study to test the efficacy of a new investigational drug that targets specific female hormones, to see whether it can help women with Heavy Periods due to Uterine Fibroids. Qualified participants may receive compensation up to $1540.00 for time and travel costs.